Garage Door Repair of Minneapolis-St. Paul has the ability to get to you as soon as you need us. 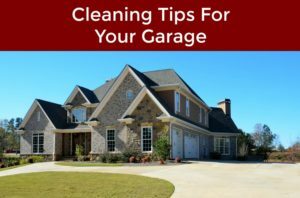 We understand how important it is to have a functioning overhead garage door. If you are in need of emergency or quick response services in MSP, we should be your #1 choice for garage door repair. In most cases, our technicians can get to your residence or business about an hour after your phone call. We always call ahead to let you know we are on the way. You will receive a call 30-60 minutes ahead of time so that you can know when to expect us. Our locally owned and operated company has been in business for over 20 years. Our track record has been established in the area as an overhead door service that provides 100% customer satisfaction. With our highly trained staff and certified technicians, your garage door will be functioning properly in no time. All parts are replaced with high quality, rust resistant parts; many of which come with a lifetime warranty. All damaged hardware can be replaced by one of our certified technicians. If you are interested in having a new door put on, we can also handle the installation. Check with us for our custom garage door options. Our techs can do a safety inspection on your door. We offer this inspection in combination with a maintenance service where the tech will ensure all parts of the door are working properly. We are able to get to your home anywhere in the Minneapolis-St. Paul area. If you live in the Twin Cities, be sure to contact us today so that we can get someone to you quickly. Our techs are familiar with the area and will find your location. It is our passion to serve all residents and business owners with the best garage door services possible. We use industry leading equipment and the top of the line parts to repair your home. This will ensure that your repairs will last for a long time to come. Each day, we offer daily discounts and specials. Be sure to check with us about the deals you can take advantage of. If you are in need of garage door services in Minneapolis-St. Paul, Minnesota, please contact us today. Our knowledgeable phone staff will answer all of your questions and dispatch a tech right when you need it. Come rain or shine, we will be there! Our techs frequent Minnesota State Highway 5, Interstate 494 and Minnesota State Highway 77 to get to our customers. Are you local to the Minneapolis area? Then we can get to your location and provide you with outstanding service in Minneapolis and beyond. Our central location makes serving a wide service area easy for our team to handle..
Our dynamic staff in Minneapolis is able to handle any garage door need for your household or business. We are part of the Minneapolis-St. Paul area and want you to take in the sights while we get to work on your door. Feel free to check out Walker Art Center and Mill City Museum.